This Californian classic is among the top-producing Indica-dominant Kush breeds on the market today. Displaying large rock-hard "crown-shaped" colas, this elite clone boasts an extremely resinous glistening finish. With a long history that stems from an original Hindu Kush highland Indica crossed with a powerful and vigorous original Skunk phenotype, the result is a modern day icon in the cannabis industry that has been transferred through 3 generations of growers and breeders alike. Our elite version was crossed with Emerald OG to obtain a regular form, which was then intensively selected and back crossed for another 4 generations. 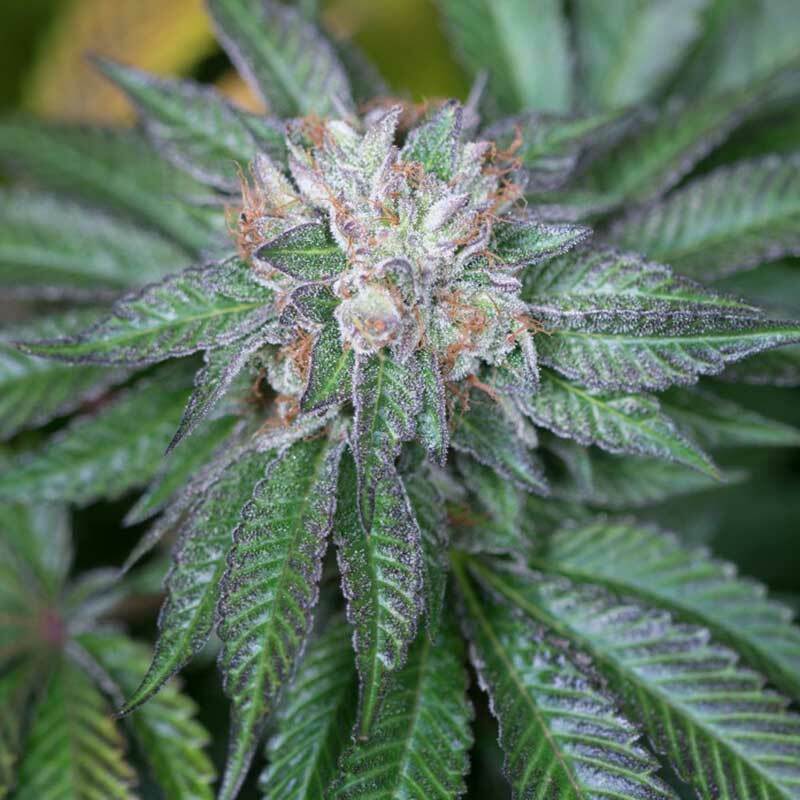 This strain is recommended for beginners and experts alike as it is very grower friendly. Like most pure Indicas', one must be mindful both of its shallow canopy depths, that are due to its large broad leaves, and of its acute susceptibility to mildews and moulds. This is a must have as Preparation x Passion x Knowledge has equalled a connoisseur collector's edition while HSO continues to preserve the best of old lost genetics.